Sociology and history of sport is a fast rising subject. There is a growing interest in issues associated with globalization and sport culture across European and North American boundaries. This book fills an important gap. At the forefront of new areas of research in sport studies, it deals with a significant historical period systematically and, above all, internationally. 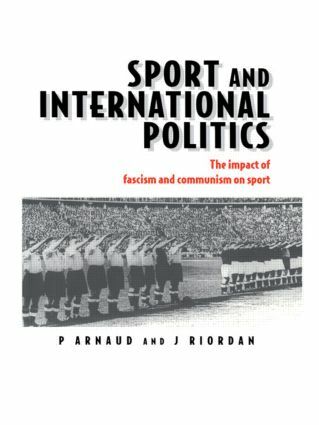 Brought together in a single volume, this work examines the shaping of sport both by the fascist and communist institutions of Europe during the interwar period. It shows how sport was used as an instrument of propaganda and psychological pressure by major political and sporting nations as well as international movements such as the Catholic Church and the International Worker Sport Movement. This volume will be a key reference for researchers and students in sports history, sports sociology, politics and European studies.